Well done, guys and girls! It’s 2017 and we’ve still got our heads together! And I admit, that can seem like a challenge. We’re all losing our minds scouting out for all the latest and greatest business trends in order to promote our products and services online. Fortunately more and more tools are popping up every day to help us navigate the digital jungle. In the same way scientists once mapped out the human genome, the internet is mapping out business trends and networks worldwide. 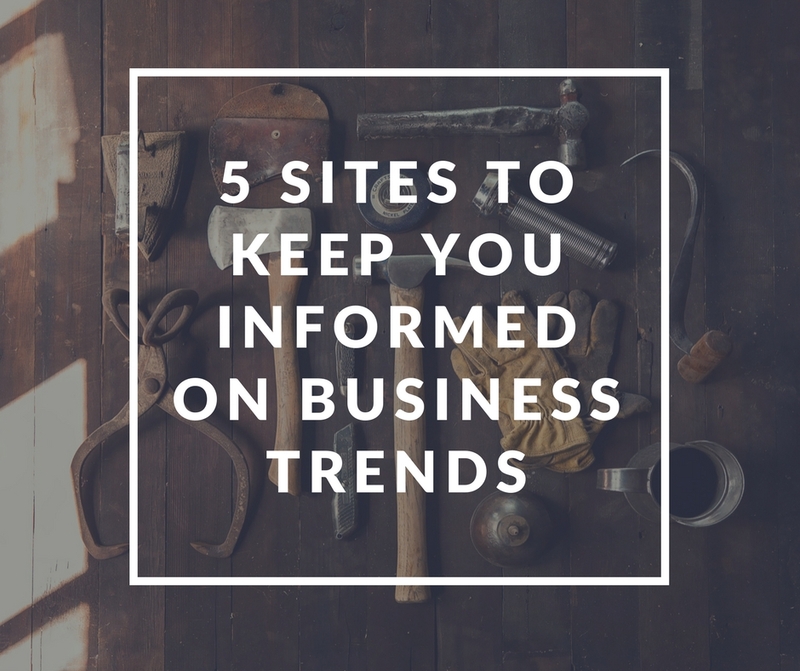 So here’s a list of handy tools you can use to help you discover some of these trends and how they can make and shape your business. Buzzsumo is a powerful content research tool that lets you see exactly what is trending across the web, and how. That ‘how’ is important, because that’s where Buzzsumo shines. Search any topic and find out what related content is being shared and on what platforms. Because, let’s face it – sharing is the ultimate form of flattery in social media. You’re paying the compliment of saying ‘I want everyone to know about this’ or ‘I want this to go viral’. Enter any term, which is then sortable by category, popularity, keyword and other variables. You can see exactly what kind of content is popular and influential, which media platforms it is being shared on the most, and countless other handy statistics which will help you shape your own vision for excellent content marketing. They say Google owns the internet. Well, there’s no doubt that Google search plays a big role in deciding which content is Hot and what is Not. Fortunately, Google Trends allows you to go a bit deeper and find out what is hot in the world of Google Search. Enter any topic and find comprehensive information about what is being searched, where and when. Learn about breakout topics, trending terms, and what people are searching based on country and city. If your business uses Google, it’s very handy to keep Trends on the side. Trendhunter is the kind of website that makes you appreciate the true greatness of the internet, in its ability to pool together all the greatest ideas from around the globe. In short, the site is really about 3 things – trends, trends and more trends. It really is the most comprehensive site for seeing the latest trends in virtually any topic, from categories like tech, culture and, of course, business. But the fantastic thing is how virtually any of them can be connected to business. It’s a haven for seeing all the latest bright ideas, but it also provides a paid service in customised trend reporting to help your business fit into its niche like a silk glove. It’s easy enough to go on sites that tell you what is popular, but nothing beats going right into the frontline and seeing how businesses are directly interacting with customers – That’s right, the sleeping marketing giant of Facebook. Everyone’s favourite-by-default social network is actually a potent tool for keeping in touch with market, business and industry trends. But most people don’t notice, I guess because the whole business plan of Facebook is to be a marketing platform without the average user noticing. What are you using Facebook for? Lay off the memes and start paying attention to those sponsored posts. Notice how your favourite (and least favourite) companies are using their timelines to their advantage and disadvantage. In Zuckerberg‘s blue and white world, adverts and business promotions lurk around every corner. What better place to see first-hand just what business are doing to grab your attention? It’s always interesting when you see a sponsored post with only a few likes, and another with thousands. Facebook is a hive of market and content research information, as long as your eyes are open to it. While Facebook provides an invaluable look into the customer experience, Linkedin is endlessly useful for diving into the real world of business. After creating a professional network, see what people are liking, following and listening to in the business world. See first hand how businesses are creating their own networks, and how people and organisations are adapting and building upon an ever-changing landscape. Linkedin allows you to journey deep, as long as you’re willing to bite the bullet, escape your comfort zone and start network building. Finding it hard to start your own blog? Let us know how we can help you get started.